Read more about Another Palestinian Uprising? 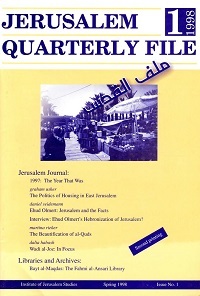 Now a classic in its field, From Haven to Conquest is a unique ‎ compendium of difficult-to-obtain or out-of-print material on ‎Zionism and the history of Palestine from ancient times until 1948. Eighty documents ‎and first-hand accounts are supplemented by 30 pages of ‎appendices providing detailed demographic and military statistics. The Institute for Middle East Understanding (IMEU) hosted an interview on 'The Iran Nuclear Agreement and the Question of Palestine' with Palestine Studies Fellow Mouin Rabbani. For our July Book of the Month, Palestine Studies has chosen Manifestations of Identity: The Lived Reality of Palestinian Refugees in Lebanon by Muhammad Ali Khalidi. Palestinian Refugees in Lebanon are often discussed in sensationalist or objectified terms in the context of various crises. On this day, 43 years ago, the Palestinian people lost one of their greatest writer, Ghassan Kanafani. 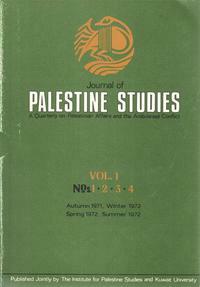 In remembrance the Institute for Palestine Studies has made available an archival retrospective on the life and work of Kanafani.